I am the Professor of Internet Geography at the Oxford Internet Institute, a Faculty Fellow at the Alan Turing Institute, a Senior Research Fellow at Green Templeton College, a Research Affiliate in the University of Oxford’s School of Geography and the Environment, and a Research Associate at the Centre for Information Technology and National Development in Africa at the University of Cape Town. I lead a range of research projects spanning topics between digital labour, the gig economy, internet geographies, and ICTs and development; and am accepting PhD students with an interest in any of that work. I have spent the last few years investigating the implications of new types of digital labour for workers in the Global South. This research is ongoing in my team's work on virtual production networks, and outsourcing and microwork. At the moment, the tens of millions of workers who do digital work do so in a largely unregulated and socially disembedded way. This clearly benefits some workers, but we should also worry about a race to the bottom occurring as ever more people come online. I also teach a course at Oxford called 'Economic Development in the Digital Age' that focuses on the winners and losers in the contexts of rapidly changing global connectivity. My current research on this topic looks at digital entrepreneurship and the ways that conditions in African cities shape practices of local entrepreneurs (as part of a large project about African 'knowledge economies'). Previous research has focused on how the internet can impact production networks (of tea, tourism, and outsourcing) in East Africa, and asked who wins and loses from those changes. 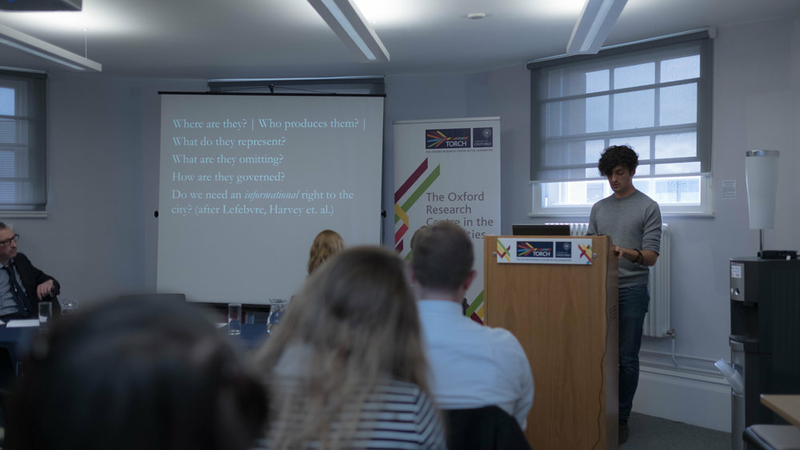 I also co-founded and lead the 'Connectivity, Inclusion, and Inequality' and 'Big Data and Human Development' research clusters at Oxford. Digital Geographies is my most long-standing research area. I ask how people and places are ever more defined by, and made visible through, not only their traditional physical locations and properties, but also their virtual attributes and digital shadows. If the places that we live in are increasingly digital, then there are important questions about who controls, and has access to, our digitally-augmented and digitally-mediated worlds. I have written extensively about this topic in both the academic and popular press. I also tend to use a lot of internet geography maps to tell this story. I am grateful to have had much of my research funded by donors such as the European Research Council, the ESRC, the British Academy, GIZ, IDRC, NSF, and the Leverhulme Trust. I am also fortunate to have been able to work with a diverse group of wonderful scholars and thinkers. I try to maintain a blog to regularly share thoughts and new outputs. If you want to get in touch, you can find my contact details on my OII page. I regularly post updates on Twitter. And, I'm also a big fan of music made by/in/with/through machines. Here's a selection of stuff I listen to. Feel free to share anything similar you come across. For more of my writing, please visit my full list of publications.